Today is International Day of the Girl, an occasion that hopes to raise awareness of the many injustices young women face throughout the world. 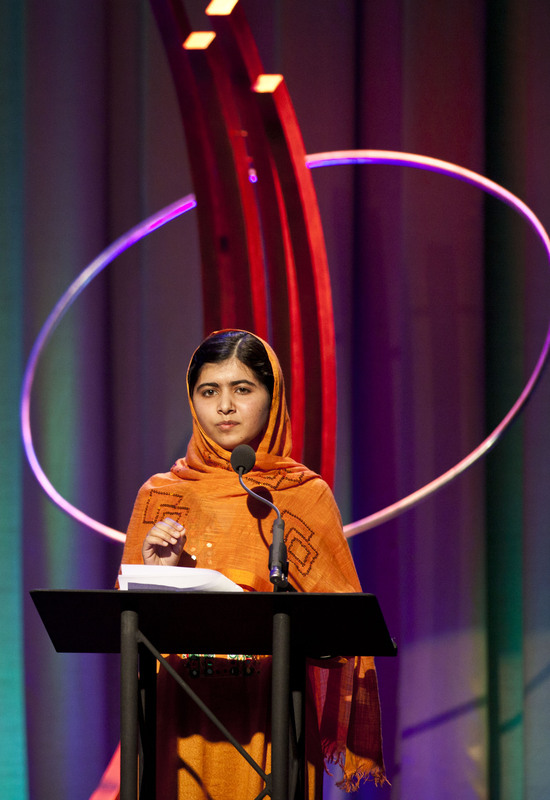 There are lots of inspiring young activists working to make the world better in spite of it all — the best example, of course, is the incomparable Malala Yousafzai who was shot by the Taliban for her advocacy for girl's education. We'd like to honor 5 more girl activists who are standing up for what they believe in. This 16-year-old indigenous activist in Guatemala wants to be a lawyer and journalist, and is a leader of the Let Girls Lead organization, which seeks to empower young girls. She told Forbes that "The lack of educational opportunities and the discrimination against indigenous girls and women are the biggest barriers facing girls like me," and that she hopes for a day when girls everywhere will be allowed to live up to their full potential. Rachel Parent is an anti-GMO activist from Canada who recently took on a pundit on Canadian television who tried to make her out to be anti-science and indifferent to dying children. Yet the 14 year old managed to stay remarkably poised in her advocacy for GMO labeling and consumers' right to know what's in their food. Despite being only 10 years old, this Canadian activist and blogger takes on environmental issues from climate change to sustainable school supplies. She also keeps up a speaking schedule and helps organize events in her own community. 14 and from Hong Kong, Celia Ho is passionate about saving the elephants and has written newspaper editorials and created posters and videos arguing against the ivory trade. Since China is one of the largest ivory importers, she hopes to raise awareness and limit the demand for ivory. 16 year old activist Erica Njeri Gachoka is drawing a lot of attention right now for her move to run the Chicago Marathon in order to raise money for a mobile blood donation unit in her native Kenya, something the country desperately needs. She'll run the marathon on Oct. 13th, and we'll all be cheering her on.